This week we channeled our inner monsters and has a monster storytime! We began with the classic, Where the Wild Things Are by Maurice Sendak. I was surprised that so few children in attendance knew the story of Max who was very bad and his adventures with the wild things. Sendak’s illustrations of the wild things were a huge hit with the kids, however there was some relief when Max returned home and his dinner was still warm. Next we read There’s A Monster at the End of this Book by Jon Stone. We had a fun time turning the pages and getting closer to the monster. There were a few children who did not want me to turn the pages and did not want to see the monster at the end of the book. 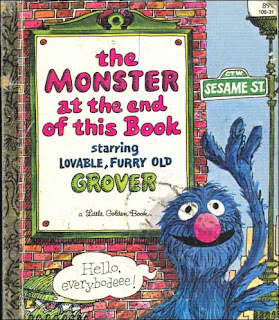 There was a definite sense of relief when we discovered the monster at the end of the book was our friendly narrator. 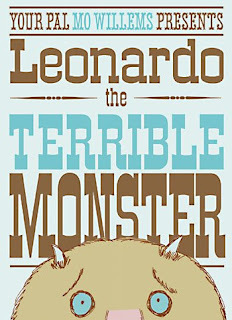 Mo Willems’ hilarious Leonardo the Terrible Monster was next. While some of the kids worried that they would be scared of Leonardo they soon realized that he wasn’t scary just down right terrible at being a monster. This is one of my favorites by Willems and I was so excited to share it with my storytime kids. Pop-up books go over really well with this group so I was confident that this one would be a fun way to end and I was right! 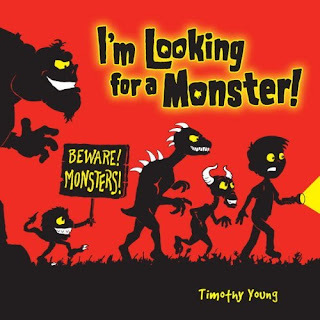 We had a great time looking for a monster finally finding the right one. 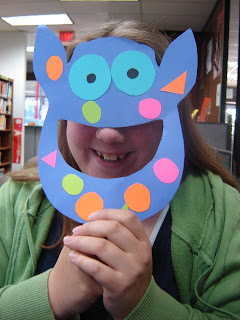 For our craft we made very scary monster masks. Everyone had a great time running around making monster noises and scaring themselves. Special thanks to my co-worker Katie for modeling this week’s craft!